Well, I made up this recipe. Completely made it up out of my little noggin. So the result is…well, I can’t really tell because it’s still in the oven, but I will definitely let you know. 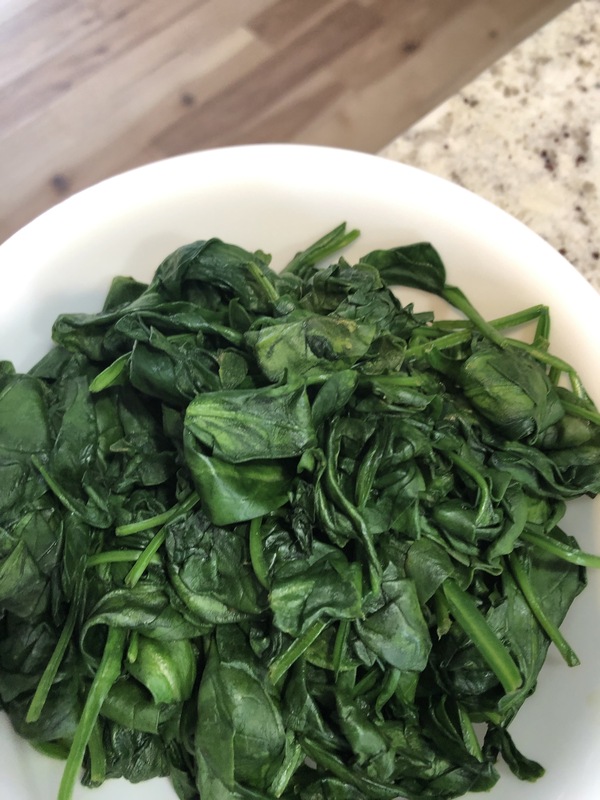 I started by cooking some spinach in a pot. It cooks really well if you just keep stirring and it doesn’t stick. It turned out like this. 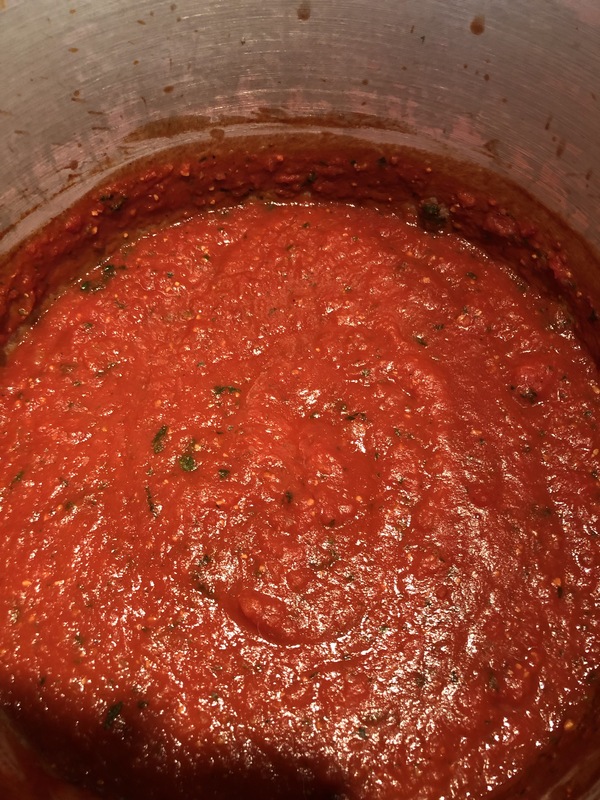 Then, I made some tomato sauce. I sautéed some onions with garlic and added crushed tomatoes, tomato paste and some more tomatoes for good measure and then, once it was cooked, I blended it with the immersion blender. Oh! 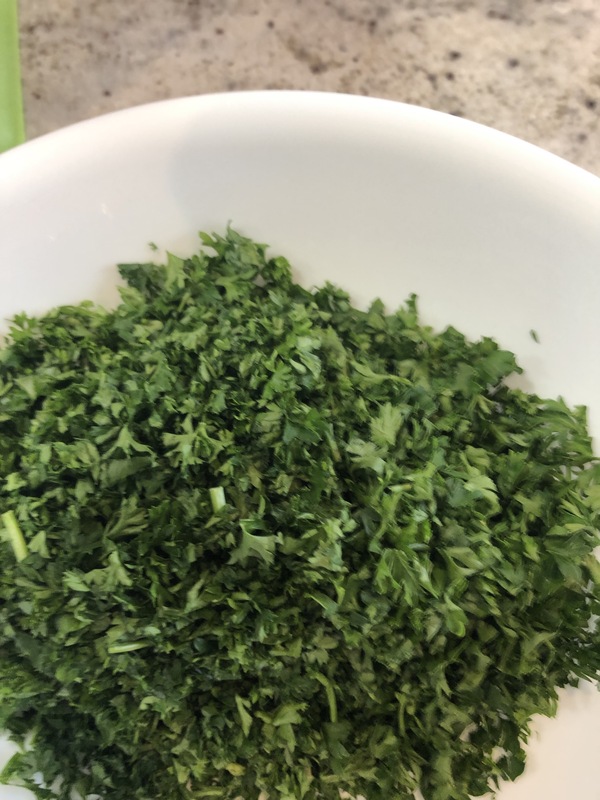 And I chopped some fresh parsley and some fresh basil to add to the sauce. 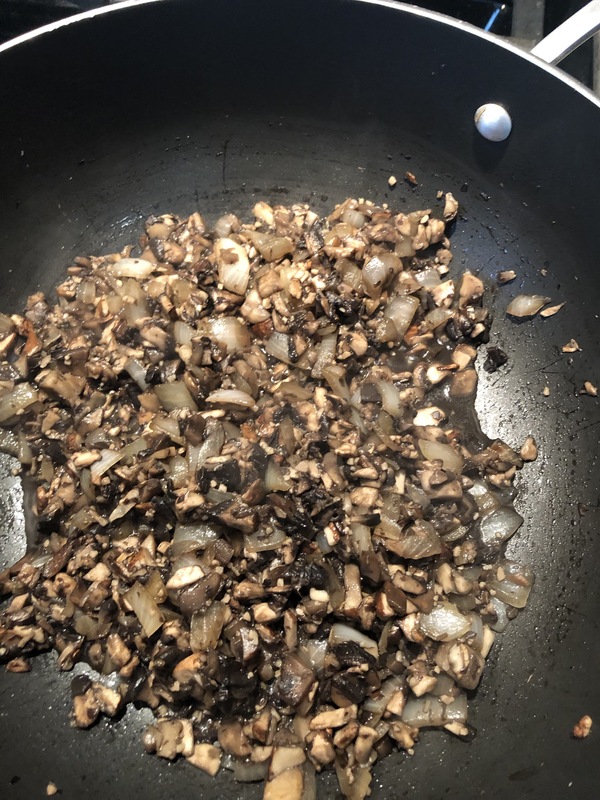 And then I cooked some portobello mushrooms with some onion and garlic and olive oil. 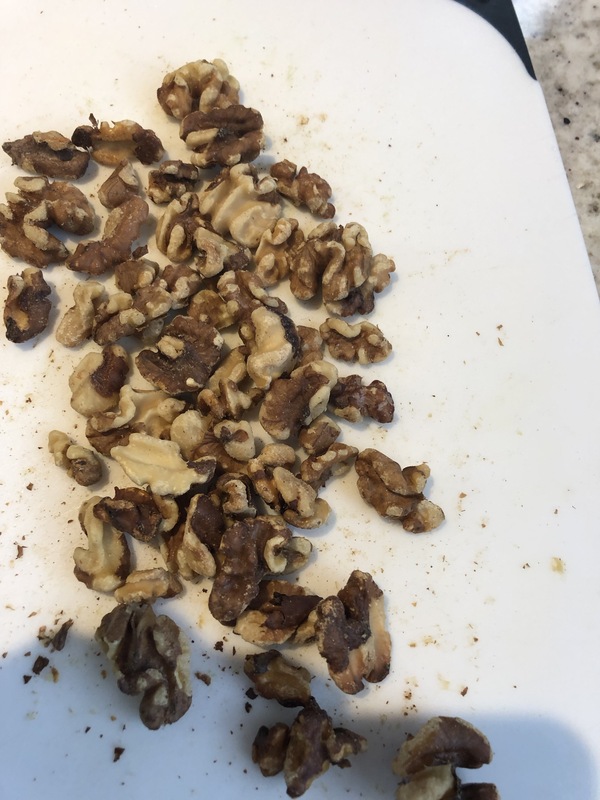 This was the mushroom mixture after they were cooked. 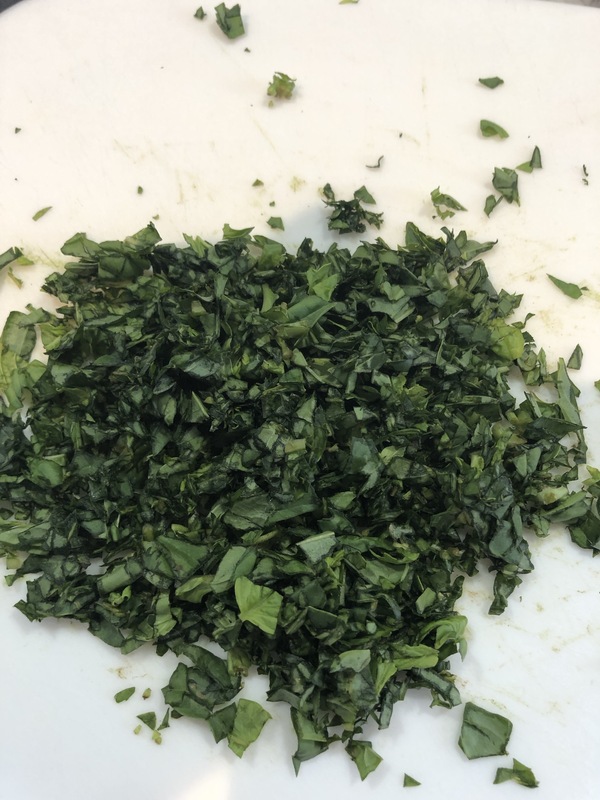 I also had to chop them up. 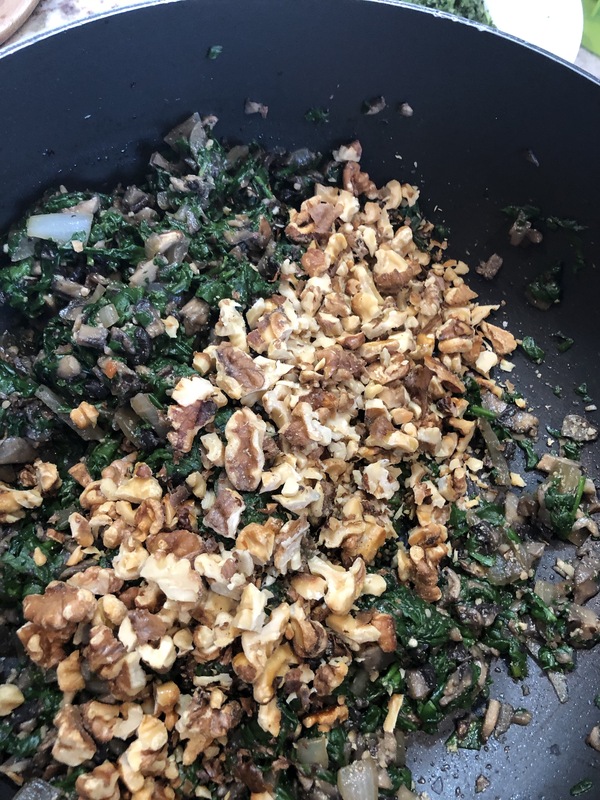 I then added the spinach (after I cut it into small pieces) and some roasted walnuts that I also chopped. Finally, I had some fresh pasta lasagna sheets and filled them up with the mixture, then put them in a glass bowl, wrapped them so that they would contain the mixture and covered them with tomato sauce. Issues? Well, I didn’t measure anything. I might have overdone the salt in the mixture (so that’s going to wreck the entire thing). Hubby is on his way over and he’s going to be my guinea pig. It’s my real first attempt at cooking without a recipe…and this could easily be a disaster. Oh! And here I was all delighted that the recipe is vegan…well, turns out that the pasta is made with eggs.